Before we returned to Australia in September, we had the great good fortune to stay for several weeks in an extremely comfortable villa near the beach at Sanur, Bali. 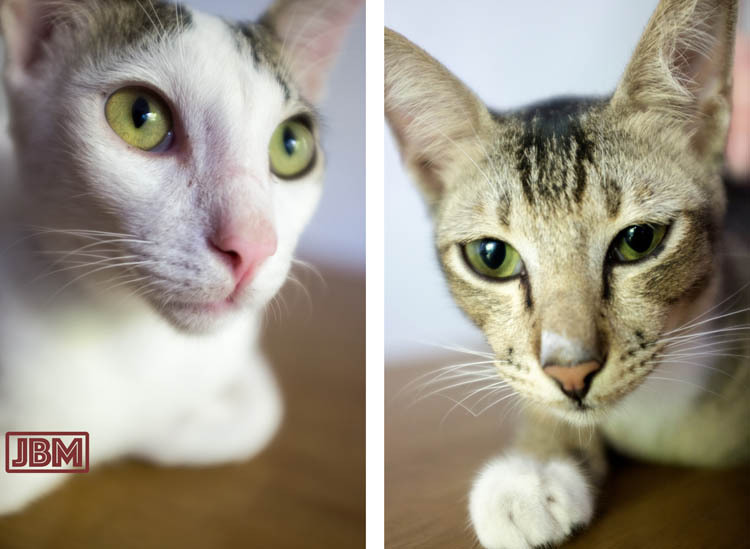 While we were there we befriended (or were befriended by – it’s hard to tell) two delightful little cats. 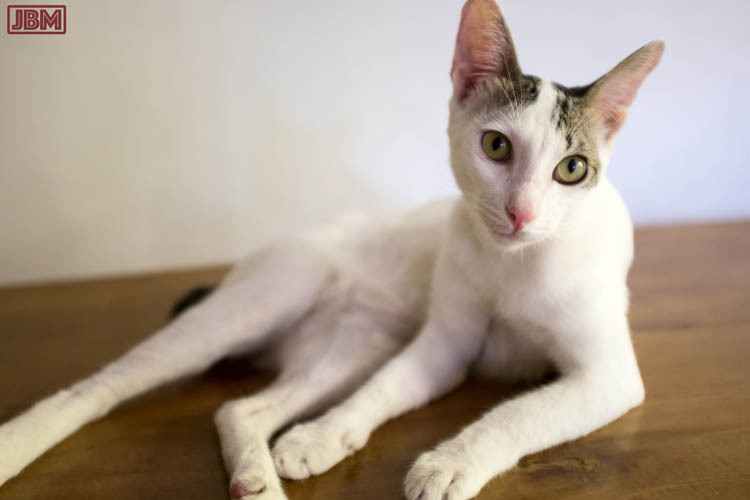 They were real Bali cats – lean, wary and street-wise – and pining for affection (and food). They were also the best of friends (and siblings?) One was white, and the other tabby grey. 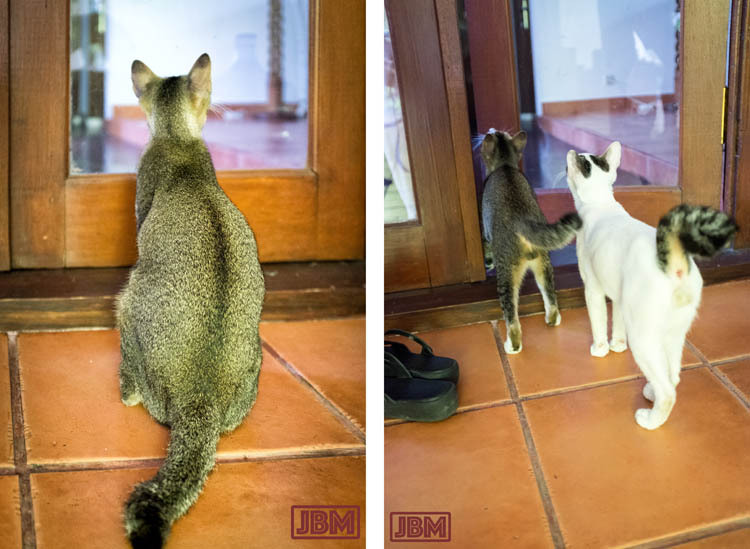 They arrived without any names that we know of, so we imaginatively christened them Putih (White) and Abu-abu (Grey). Putih arrived first. He was sweet and affectionate, though we soon realised that he wasn’t the genius of the litter. He’s an inveterate ankle-rubber, but he never quite learnt that he shouldn’t try to rub up against the ankles of a walking human, and was consequently subjected to numerous accidental kicks. Didn’t stop him doing it again and again, however. 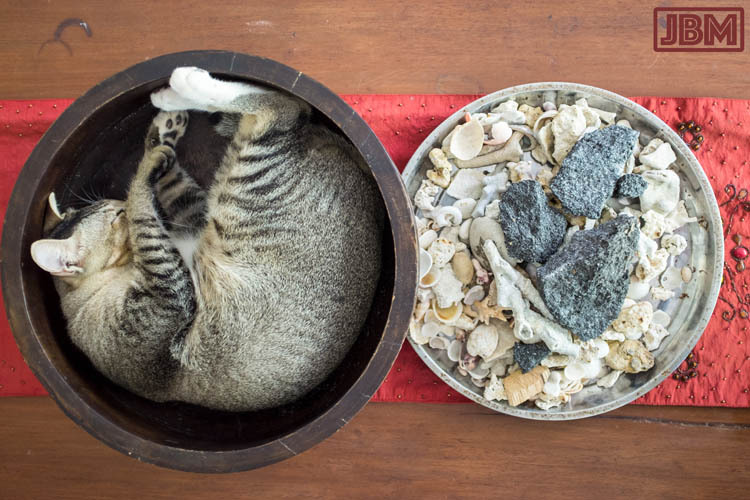 After a few hard minutes’ exercise chasing dragonflies and frogs around the yard, Putih liked to have a stretch and then curl up to sleep on the outside lounge for hours. 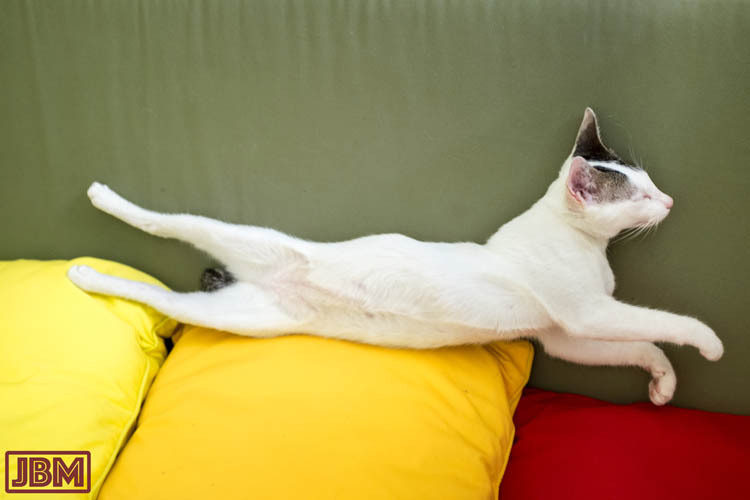 Sometimes he managed to stretch and sleep at the same time. Abu-abu arrived soon after Putih, but was at first very wild and totally scared of us, and wouldn’t let us get near him. He would hiss and roar savagely at us. The fearsome effect was however diminished by the fact that (due to some genetic defect or injury) poor Abu-abu had no voice whatsoever. 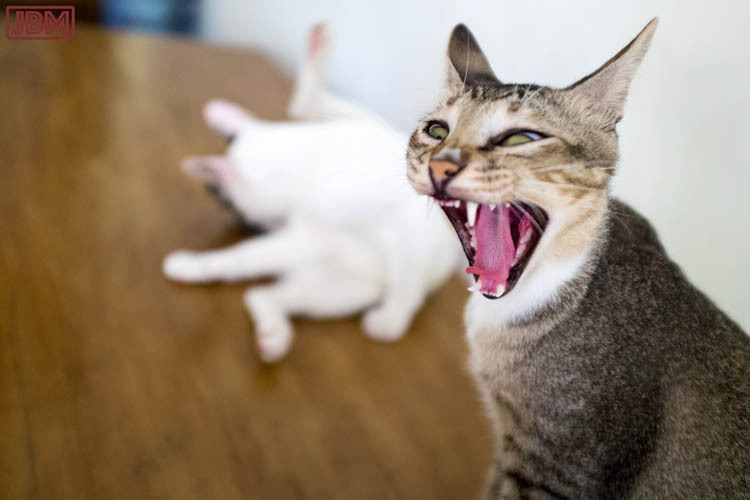 So his silent roars and his yawns looked almost identical. 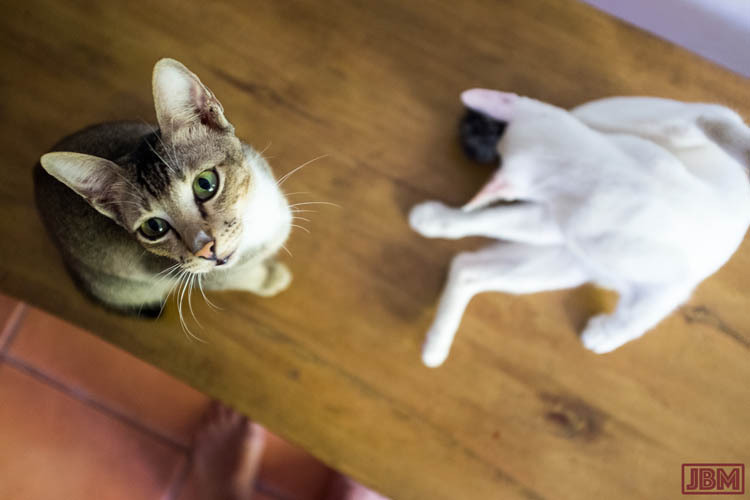 After a couple of days, and a few bowls of food, Abu-abu worked out that we weren’t dangerous, and could in fact be rather useful, and so the two of them became semi-permanent fixtures around the house. They certainly spent a lot of time sleeping there. By late afternoon, they’d stir, and start to enquire about the when the next meal might be ready. 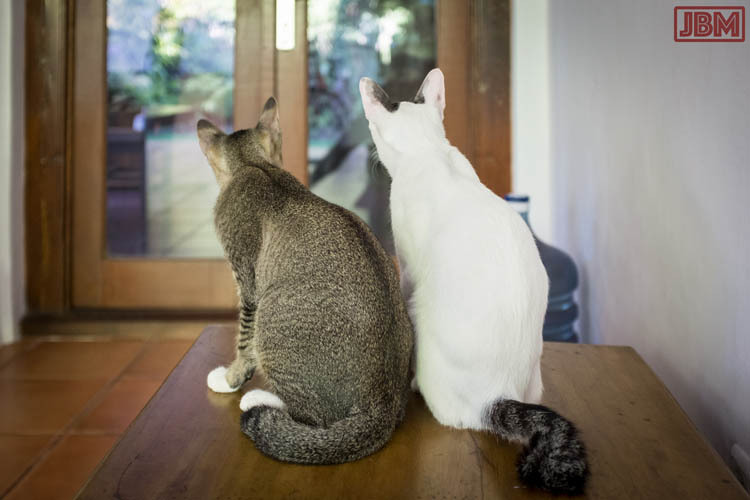 We never let them inside, and they never (well, hardly ever) tried to come in. 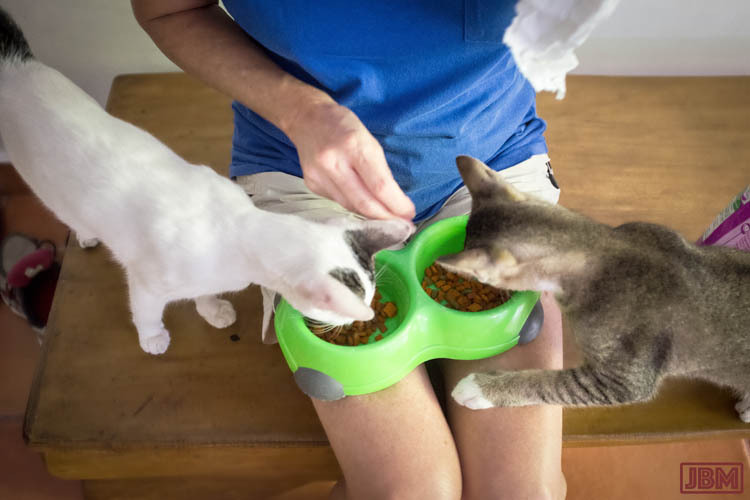 But they knew where the Whiskas catfood came from, and they were ever-alert to any signs of food being prepared. They waited (somewhat) patiently for the food to arrive. After dinner, it was time for prowling and preening. And, of course, more sleeping. 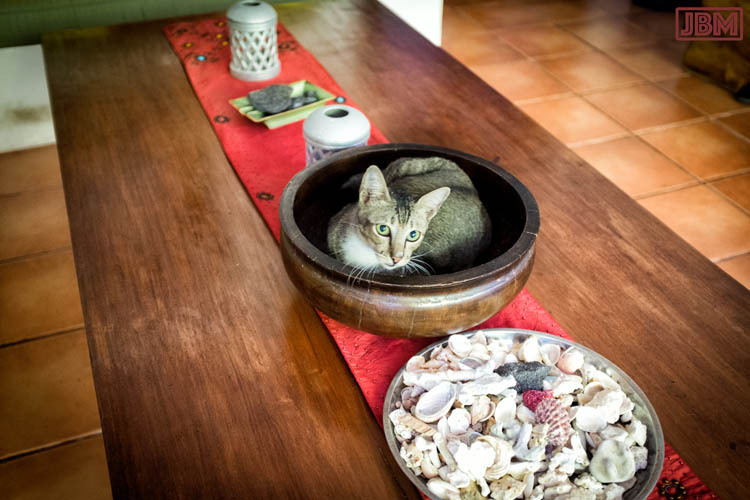 Abu-abu took a particular liking to a wooden bowl that was just the right size, shape and texture for curling up in. 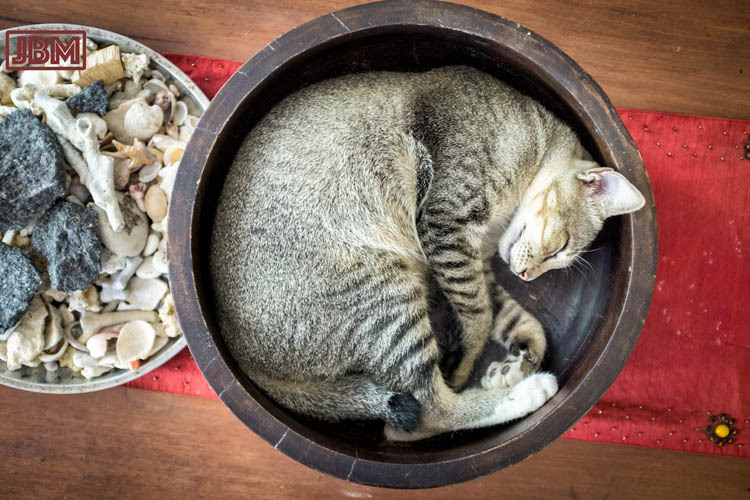 He spent many hours curled up in the bowl, dreaming (we imagined) of the sea. 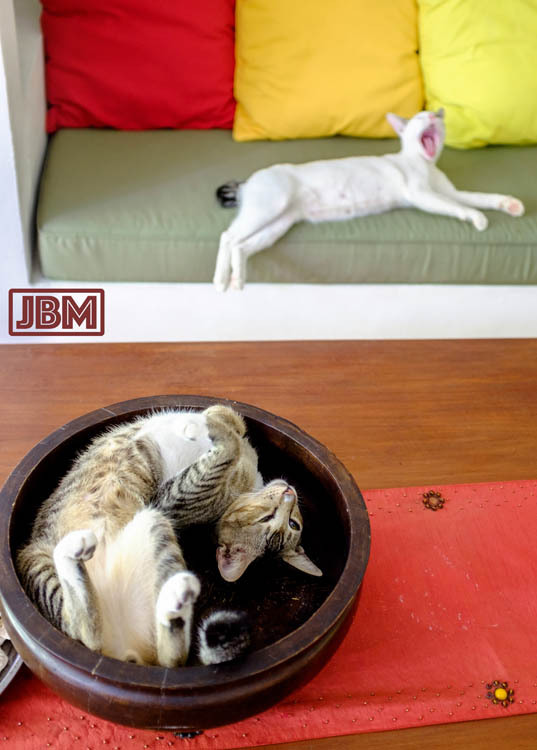 This entry was posted in Indonesia and tagged Bali, Cats, Sanur. Bookmark the permalink.